C.S.R.T. offers Flat Rate IT solutions for every business. No IT problem is too big or too small for our team of IT professionals. 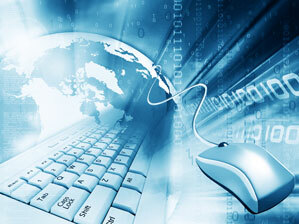 We are the industry leaders when it comes to complete IT solutions. Our team of knowledgeable professionals have the extensive experience that you need to get the job done. We will meet or beat any competitors prices! Our hosted desktop service will immediately cut down your capital expenditures and administration costs. Let’s face it, setting up and maintaining your IT infrastructure is a difficult task. When you adopt our hosted desktop solution, you eliminate all drawbacks while providing your end users the same computing experience as using a traditional PC platform. Our state-of-the-art data center is a self-contained facility where we house all the servers, platforms, backup/redundancy systems, and security infrastructure. This way, your technology capacity is no longer a bottleneck. You experience drastic reductions in overhead costs from hardware purchases, upgrades, software licenses, maintenance fees, energy and utility costs. With a smart user subscription model, you only pay for what you use, with absolutely no limits on the number of applications, level of processing power, storage, and bandwidth that you can scale up or down to your needs. C.S.R.T. Helpdesk Phone support covers an unlimited number of support incidents for hardware and software problems including troubleshooting and issue resolution. We provide multi-channel (voice, web, e-mail and chat based) helpdesk services, to assist our clients with deployment on both local and global distributed delivery platforms. Our team of professionals is always available to help support your success. We provide 24/7/365 network monitoring and administration. This will free up your staff to work on the business you pay them to work on. If there’s a problem, our team monitors and responds to alerts. You are contacted within 15 minutes and we start corrective maintenance procedures immediately. And with end-to-end implementation and management of your entire network infrastructure, it will be easier to manage costs and increase efficiency. Our team of knowledgeable professionals are available to support your success in collaboration assistance during your business sales practices, presentations, or any type of conference. Remote desktop assistance is generally used in support but for the next generation of business this is no longer just a support function. It has become a vital role in day to day business in accounting, sales, inventory, and warehouse work flow operations. We know that when this function is applied effectively it will increase efficiency, reduce man hours and increase a businesses profit margin by increasing productivity. In house IT staff is a costly. Business owners are always asking themselves “why am I paying you when nothing is broke, all you do is sit in front of computer.” Let us help you save money and put your dollars to work. We come when you need and work on what you need. That way you can control your costs. One more benefit of the Total I-Complete Solution is that you can reach out for support in so many different ways and get an immediate response. Our commitment to your success is our duty. We have a very unique “hour rule” that we live by. The hour rule states that if you have our hardware onsite that needs repaired we will arrive fully equipped with all the parts needed to fix it the first time including replacing the hardware in its entirety and having you backup and working within an hour. For equipment that is C.S.R.T. branded we will replace any defective part in order to get you and your hardware up and running. In the I-Complete Solution this is an included service. We offer a 3 year warranty on all our parts and equipment. Upon submission of a service request you are notified via email, with a ticket number that allows you to see the status of the request. This ticket number is a reference number in two different places. First on your invoice so you can see what you are being billed for and why. Second it is a reference point so you know what happened, what is happening and when your request is completed. Information is power especially when related to the problems you are having now. Smartphones can be a big hassle if they are not managed properly, let our team of skilled professionals take the hassle away. We offer the elite smartphone support on a pay as you go program. Trained technicians helping you versus going to a cell store, getting a number and waiting in line. Just tell us your problem and we actually do remote support from our phones which makes us the leading provider in leveraging technology to help support your business success.